With the implementation of the protocol, plastic and other non-degradable articles including disposable glasses and plates and thermocol decorations will be kept at bay from marriage functions in Kerala. With effective implementation of green protocol, amount of plastic could be reduced in Kerala. Thiruvananthapuram: Wedding ceremonies in Kerala are all set to become 'green', with the state government coming out with a green-protocol to make the auspicious occasions more nature-friendly. Instead of this, people would be persuaded to use tumblers, plates and other utensils made of glass and environment-friendly metals, officials sources here said. 'Suchitwa Mission', the state nodal agency for sanitation, has already launched the initiative in Kannur, Ernakulam, Kollam and Alappuzha on a pilot basis. CV Joy, Director (Operations), Suchitwa Mission, said the green-protocol was launched as part as part of the government's anti-plastic drive and Green-Kerala Mission. "The core objective of the initiative is to reduce the use of plastic in daily life. Plastic articles including glasses and plates are used in large numbers during functions, especially marriage ceremonies in the state," he told Press Trust of India. With the effective implementation of green protocol, the amount of plastic could be reduced in the long run. "We can reuse, recycle and reduce plastic. But, even if we reuse such non-degradable articles, there will not be much decline in its presence. So, reducing its use is the more effective way to achieve our plastic-free society goal," he said. The Mission has joined hands with district administration, panchayat authorities and socio-cultural and religious outfit for the green-protocol initiative. The cooperation of the owners of marriage halls and convention centres has also been sought, he said. "We are planning the protocol as a sort of awareness drive. Though we have legal backing, we are trying to implement it with the support of the marriage parties and the owners of wedding halls. Mutual understanding is essential for its success," he said. Special squads, comprising officials of Suchitwa Mission and revenue department, have been formed to carry out inspections in wedding halls and videograph the ceremony. Action would be taken based on the nature of utensils and articles used there. "It is being effectively implemented in Kannur. 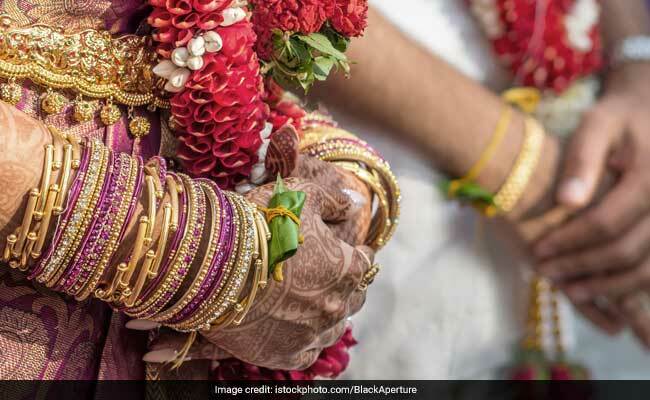 In Ernakulam, the district administration is issuing green marriage certificate for those weddings which abide by the protocol completely," he said. The protocol would be implemented in the rest of the districts soon, the official added.